GOODIEBAG: ! 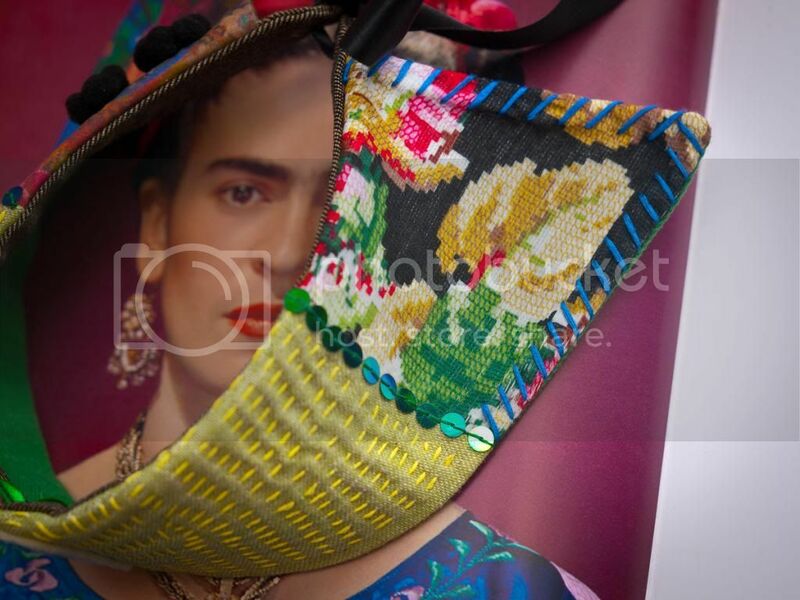 oh Frida ! There are not many things/persons/artwork that are on top of my favorites. 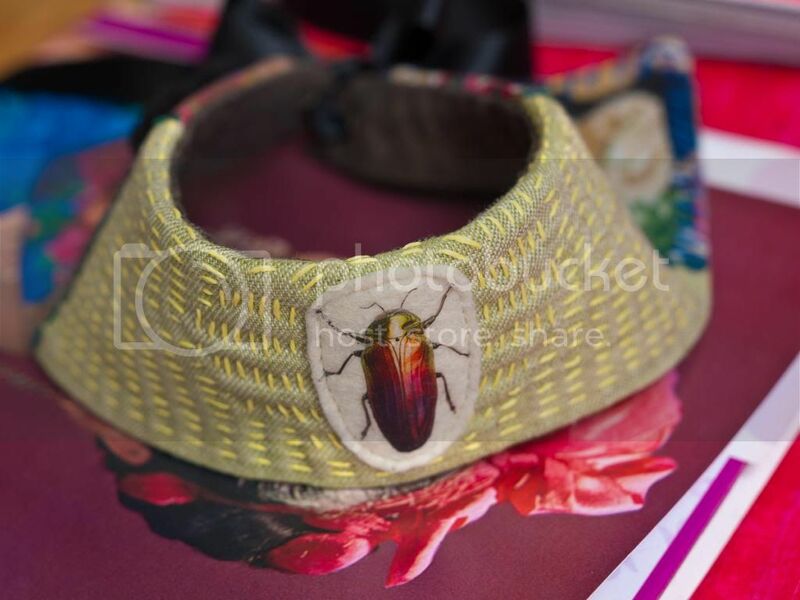 If you have seen my blog you can even count them - bugs, Liselotte Watkins` art (and never mentioned here, but also Ruth Huimerind´s creations - just got a ENORMOUS colorful photo "Evening at the kitchen" from her, übercool!) 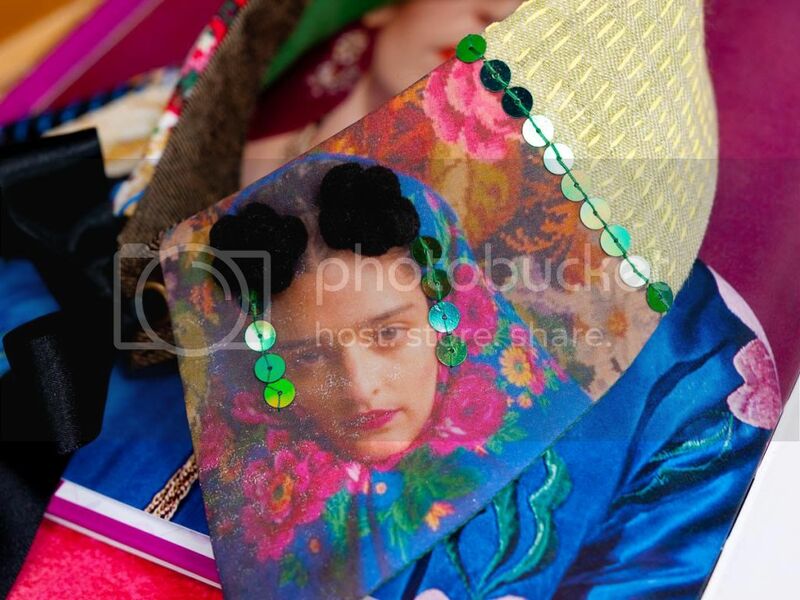 and yes, Frida. I love her work, how she looked, all this esthetics and colors around her. 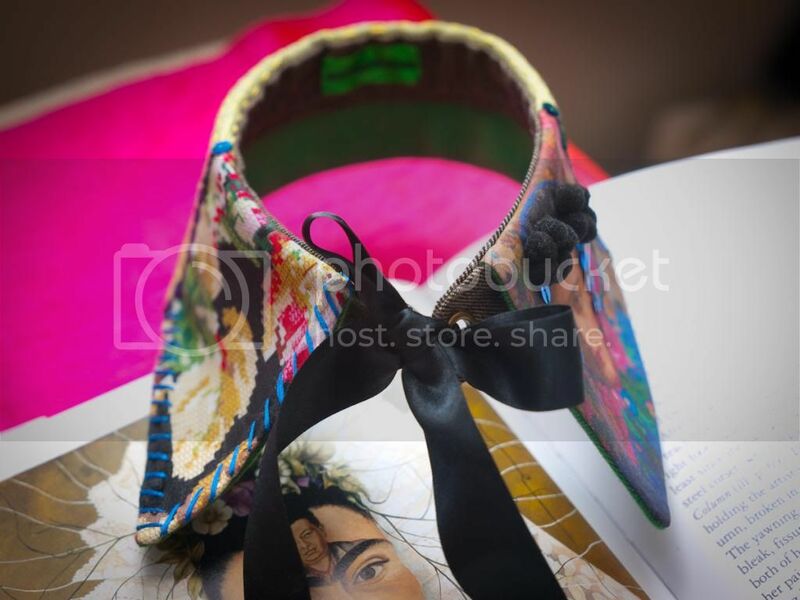 Here´s a collar made with inspiration on Mexican embroidery and Frida´s look. And how could I sepparate a colorful bug from this? I could not.